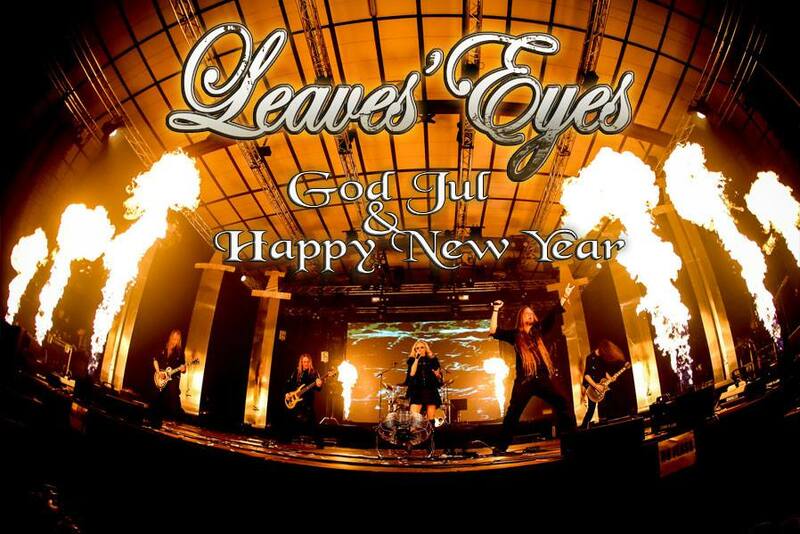 Leaves' Eyes – Official Website » God Jul & Happy New Year! we would like to thank you all for the amazing shows we had in 2014 and your endless support! 2014 was full of highlights, remembering our 10th anniversary show in Wieze, MFVF, then 70.000 tons of metal and our American and European tours! Now, the new year lays just ahead of us and we would like to share great news with you: 2015 we will return with a new album which contains a very special and epic concept! The release date is set for summer-time 2015. We are looking forward to see you all at our up-coming shows in Spain, UK, Latin America and European festivals!